Home BOLLYWOOD Box Office: Vin Diesel’s Fast And Furious 8 Friday Business! Vin Diesel’s The Fate of the Furious (Fast And Furious 8) has released with Vidya Balan’s Begum Jaan at the box office this Friday. However, the film had premiered in India on April 12, which helped the film to earn with the paid previews. The film collected Rs 5.50 crore (55 million) nett approx on Wednesday (Paid previews) and Rs 9.25 crore (92.5 million) nett approx on Thursday. On Friday, which was a holiday for Good Friday and Ambedkar Jayanti, Fast & Furious 8 collected Rs 11.25 crore (112.5 million) nett approx and this takes the total three days collection of the film to Rs 26 crore (260 million) nett approx. The film is running successfully at the Indian Box Office. However, it remains to see if Furious 8 can beat Fast and Furious 7 first weekend and lifetime record. 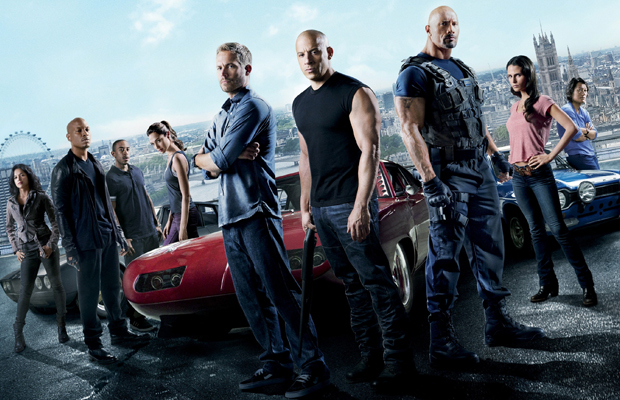 The 7th installment of the Fast & Furious franchise had broken all the records in India set by any Hollywood film so far. The film had 4-day long weekend and had minted around Rs 48 Crore (480 million) in all languages at the Box Office. The Fate of the Furious (Fast And Furious 8) is minting numbers from its English version than Hindi version in India. The film is performing well in Mysore and collected Rs 1 crore approx on the first day and Rs 3.40 crore in three days. The collections of Delhi are as same as of Mysore. Previous articleAfter Ex-Husband Sunjay Kapur Marries Priya Sachdev, Karisma Kapoor Also Ready To MARRY Again? Next articleBox Office: Vidya Balan Starrer Begum Jaan First Day Collection!